Quibbling Siblings! is the story of the family of two kids who bicker and fight to no end and end up competing on a game show that pits families against each other to see who fight the nastiest. Through their twists and foibles, they learn that even if they argue at times, their love for each other runs deep. A Boy and A Girl is all about two children born on the same day who couldn’t be more different and from more different families. They take you on a journey of their life growing up together, but in the end, it is the differences that help them get along. *In Repertory means that Quibbling Siblings! 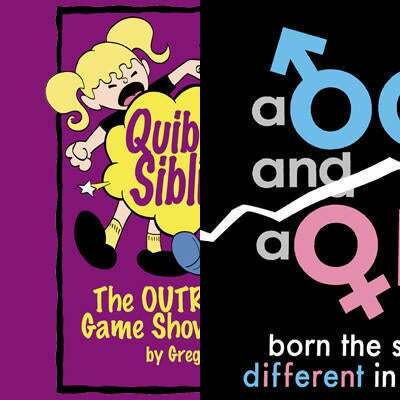 and A Boy and A Girl will be presented on alternating nights at our downtown theater on Grand and Kalmia. Click here on the San Diego Theatre Week website for more information!